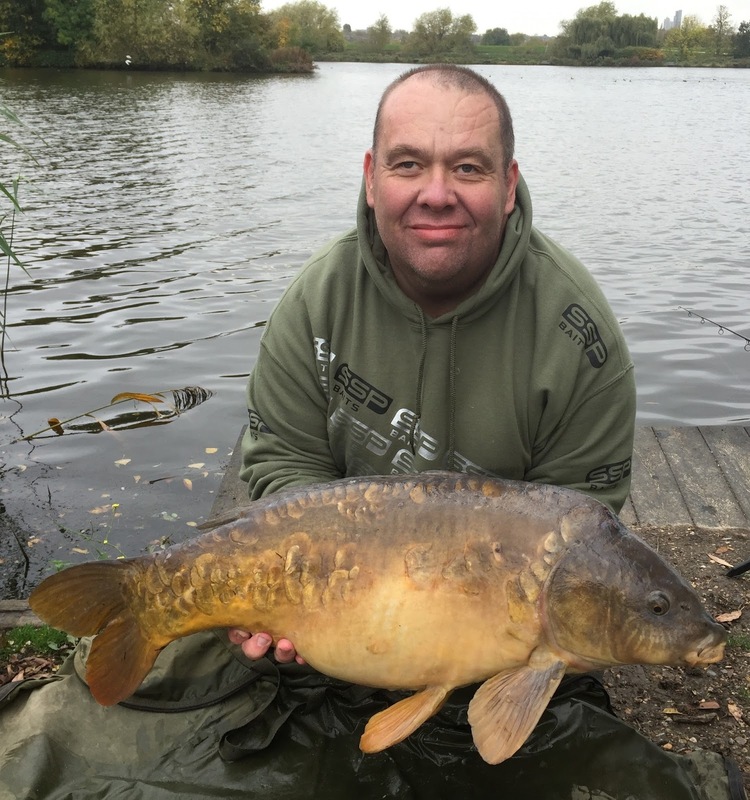 My latest interview is with Mark Hoye, Operations Director of exciting new bait firm, SSP Baits. 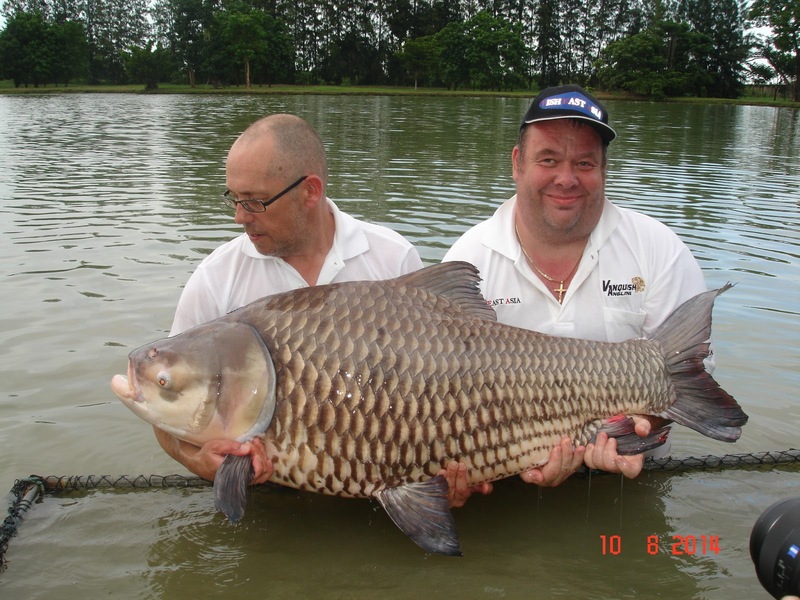 Against Men and Fish – Hi Mark, I first met you at Gillhams Resort in Thailand in 2012 and it would be fair to say you’ve packed rather a lot in between then and now! 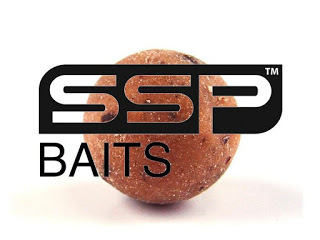 Firstly, SSP Baits, you’re latest venture, can you tell us a little bit about your involvement with the them and how what was essentially a sports nutrition brand gave birth to a fishing baits company? Mark Hoye – It has certainly been a very hectic few years since we saw each other at Gillhams in Thailand, that’s for sure. I was involved in the fishing tackle industry some 20 years ago, developing and establishing brands like Future and Image, mainly match fishing companies. My business partner then, and now, Kevin Stack and his family have always been in the leisure industry. We started talking about fishing baits some three years ago on a routine visit to one of the SSP bakeries that manufacture the sports nutrition bars. SSP are market leaders in the sports nutrition industry, developing products for golf, cyclists and mountaineers. So what has golf got to do with fishing baits I hear you ask? The technology and ingredients that go into human sports food nutrition is mind blowing and we thought if we could harness that same technology and ingredient availability in the bait market, then we could produce something very special. 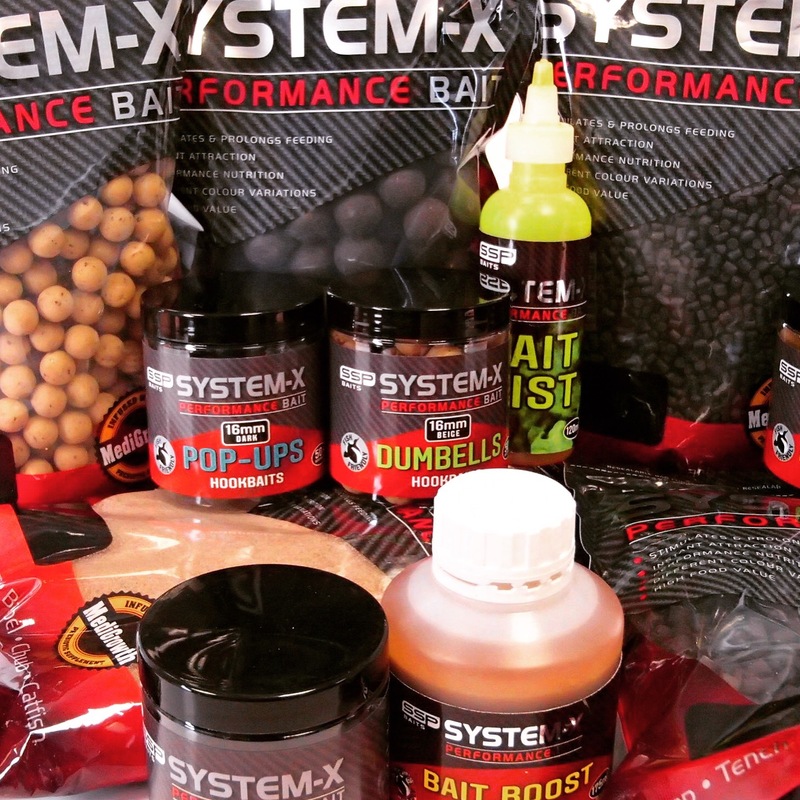 At present, your first range, System-X, comprises an extensive range of boilies, pellets, groundbaits and stick mixes in two different colours along with various hookbaits and additives, have you anything else in the pipeline you’d like to tell the readers about? I would love to let on about some of the products that are in the pipeline but they are so innovative that once they are released people will say “Why hasn’t that been thought of before?” We have some unbelievable products on the table derived from the human food industry and some will be launched at the end of next year. We have a lot of hard work underway getting our retail base throughout the country established so our customers can purchase the product. This is why we have launched a quality product System-X that we are confident will be the mainstay for many years to come. You very kindly sent me some of the pellets and groundbait to try and review on the blog (look out for that coming very soon!) and I have to say, my first impressions are they look great. From the product to the packaging, it all looks very professional and if you didn’t know better you would think SSP Baits were a long established company rather than the new kids on the block. I realise that it’s taken three years of hard work but can you give us a little insight into how you went from the initial concept to the product hitting the shelves? SSP have been in the sports market for getting on for 10 years now and if something is worth doing, it’s worth doing right. From the very outset we set about getting some popular baits that were on the market, totally broke them down in the kitchen and replaced the industrial ingredients with top quality human grade substitutes. We then went about experimenting with how certain ingredients, oils and milks interact with each other to create different releases of flavour and break down times. 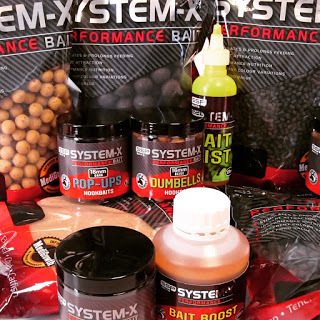 System-X is basically a five nut compound, it’s the make up of the extracts in oil, powder and milk that makes the bait taste so good. We then set about the packaging which we knew had to be quality and looking good on the shelf, even more so with us being a new company in the market. Believe me, many hours of discussing, changes and prototype packaging we went through before we were happy with the brand that will be hitting the shelves. The three senses that a fish shares with a human being are SIGHT, SMELL and PALATE, that is more luck than judgement on SSP’s part but the concept rings true. If something looks good, smells good and tastes amazing then it will be consumed time and time again. If you fish with a shelf life bait, would you rather taste an industrial preservative or the same preservative that you yourself eat in a muffin, brownie or energy bar? If you are fishing for the fish of a lifetime and spend hours in pursuit of your catch, would you be happier knowing that your bait is made from the same food ingredients that you yourself eat………….I would. back burner for the foreseeable future? Myself and Kevin have just acquired the Future and Image brands back so that is why Vanquish had been put back on the back burner so to speak. All the ideas and prototypes are still on the table but will be branded under Future and Image in time. Fish East Asia is still going well and what better place to test baits than using them to tempt the biggest freshwater fish in the world? became of Future? And what have you been up to in the intervening years? As stated in the last question we have just acquired the brands back and we have a plan for them that will see them back in the market. It is no use just launching a product that will sit alongside other similar products, there must be a touch of innovation in its concept. The market is full of copies without any real innovation. Just look at the successful companies like Drennan, Preston and Fox, there are market leaders in innovation and a bench mark for product development in my view. Combine that innovation with the Korda marketing machine and then you have a base for a really good platform. Please believe me that I am in no way comparing any of our companies to these, they have been in the market for a very long time and earned their success through effort, innovation and very hard work. I don’t think I could cope with the stress that goes along with that sort of size company lol! The intervening years have been very busy for both myself and Kevin, we have both been in the property developing industry, me more site based and Kevin’s family have been involved in developing leisure centres like the Kursaal at Southend on Sea and Rollerbowl at Romford. SSP has also seen the golf side of the company really take off and we now supply 700 courses in the UK and 32 countries worldwide with sports nutrition bars. Both myself and Kevin were very lucky to have fished with a great team like Trev’s Browning. When we won the Division One national in 1990 on the Witham, there were 91 teams and match fishing in my opinion was at its peak. We were innovators in the bloodworm and canal fishing that today is long gone. I was very lucky to learn off of the very best anglers like Dave Vincent, Pete Vasey and Graham Dack, great anglers and a great team. The commercial venues have definitely saved the sport but my heart is still with the natural venues like the GUC or the River Lea where I was lucky to draw a few good pegs. Nowadays it’s the love of a fish that is going to pull back and I have gone over to the dark side lol! I love playing around with rigs, feeding strategy and fishing for the unknown. My partner and girls are Thai so Thailand will be my final destination but not for a few years yet. fishing there, when did your love affair with the Land Of Smiles begin? Thailand, how do you do it? I have not got a clue to be honest Jamie, I wish my bank balance represented my lifestyle lol! I have some amazing people around me, some great friends and a family that are my rock in life. Family will always come first before anything and I always take time for Dee and the girls, that’s important to me. Sometimes there are not enough hours in the day but life is worth living, you’re a long time dead. Since the heart attack in February 2014, I’ve trimmed down (but still a fat git lol! ), have regular check ups, have been fitted with a ICD in my chest and I feel generally OK. It’s amazing but I was actually dead for 14 minutes when I had the heart attack and it was only down to a GP shopping at the same time as me, that they managed to do CPR on me. I woke up two days later, not knowing a thing, no pain and still with all my faculties, amazing. I had all the tests at St Barts in London, there was no blockage, valves were fine, arteries fine, my heart just went out of rhythm. I’m one of the lucky ones and there is definitely a guardian angel upstairs looking after me. fish in the UK and abroad? 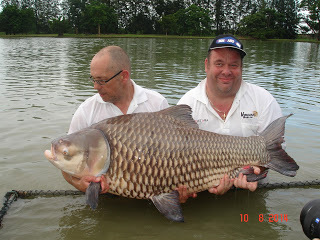 Sitting in the sun at Gillhams, catching a 100lb Siamese Carp, then having a fish meal watching the sun go down in Ao Nang with Dee and the girls. 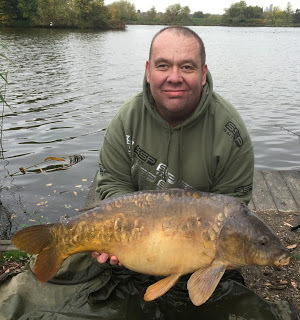 And look out my SSP Baits review coming very soon…..